Outstanding Performance in Puranava Quiz 2018 ! 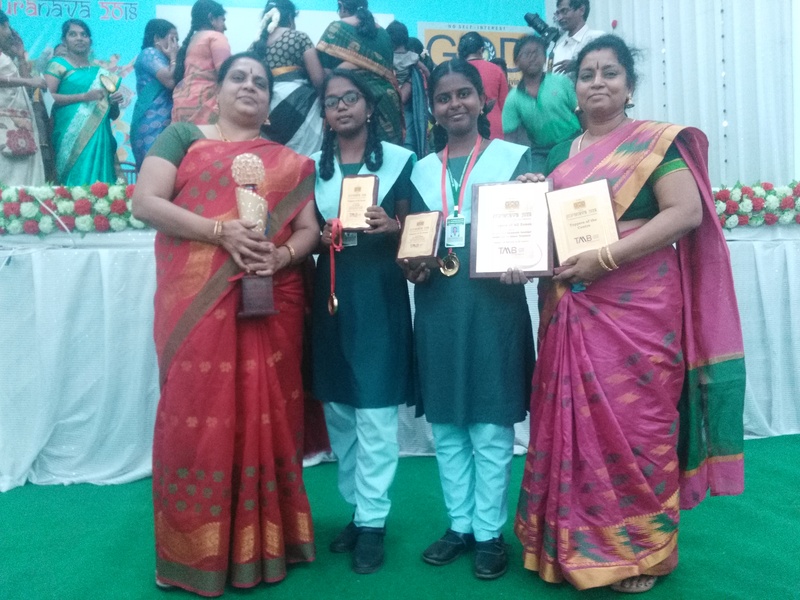 M.J.Sanjana & M.G.Indhuvarsha of class 9 with a massive score of 250 points culminated as the Proud Champions and Overall Toppers in the Grand Finale of Puranava Quiz 2018, An Indian Heritage Quiz for the School Students on August 18, 2018 in Madurai. These two students made the history by getting the highest score in the preliminary written test conducted in the month of July across Tamilnadu in 20 zones. The top 24 scorers from the 20 zones took part in the Semi Finals and in that too our students reached the highest score. 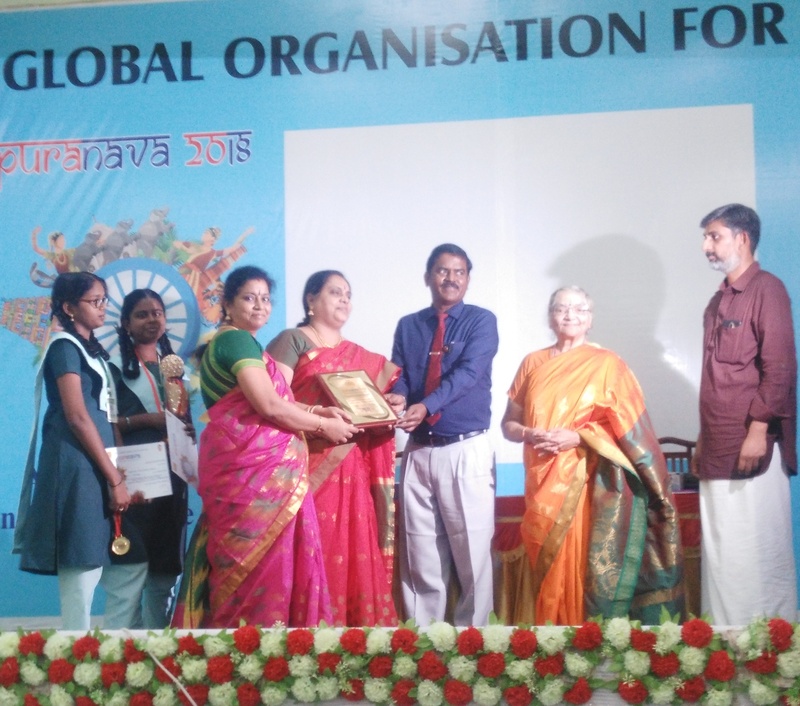 The Global Organisation of Divinity the organizers of this Heritage Quiz appreciated our students and awarded them Gold coins, Trophy and Wrist Watches. For achieving the overall top performance a Trophy was awarded to the school. The students and the staff behind the success of the students were appreciated and honoured in the school assembly by our Principal Mrs. Usha Raman.